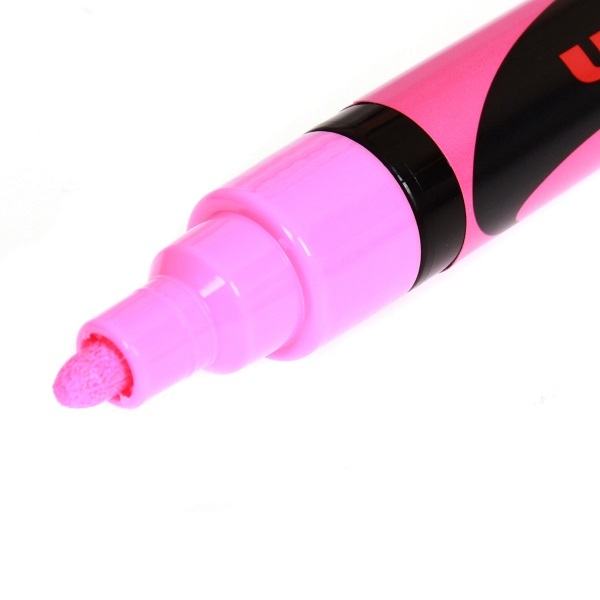 Uni Chalk Marker Pen PWE-5M, chalk based medium 5 mm bullet tip marker is perfect for writing and smaller details. Suitable for marking on almost any non-porous surface such as glass, metal, plastic and of course, chalk boards. Rain resistant and easy to remove with a damp cloth, these markers are ideal for non-permanent signwriting. Water based pigment ink. Non Toxic. Opaque - for use on non-porous surfaces. Medium Bullet tip 1.8 - 2.5 mm approx line width liquid chalk markers. Individual Marker. Choice of vibrant colours available. 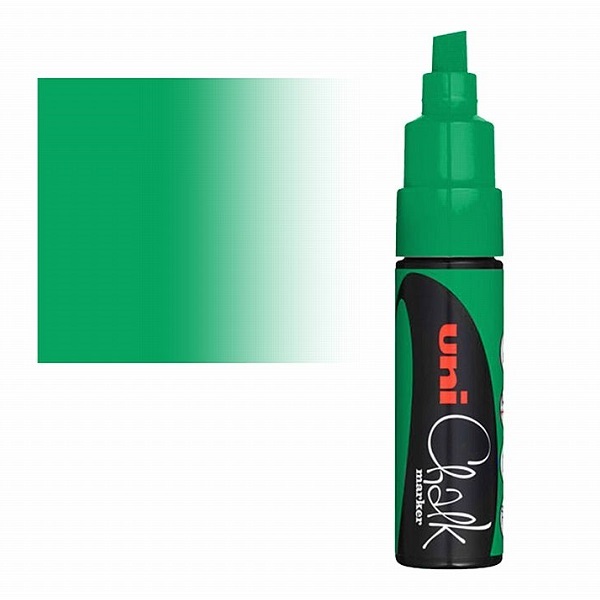 Uni Chalk Marker Pen PWE-8K, chalk based broad 8 mm chisel tip marker is perfect for lettering and larger details. Broad Chisel tip 8.0 mm line width liquid chalk markers.